As adults, many of us have had a crown (cap) or several crowns done in order to keep badly broken down teeth. A crown is a long lasting restoration that is strong and reliable. When much of a tooth’s structure has been lost because of tooth decay or breakage, often a crown is the only way the tooth can be preserved in the mouth. A crown typically lasts a long time. Some crowns will last for 20 years or more. As I have mentioned before, a crown can be made of all metal, metal and ceramic, or all ceramic. Most crowns being removed these days have some metal in them. Typically, the metal used is either gold or platinum/palladium. You may recognize these metals as expensive metals. They are used because of their resistance to corrosion and their relatively high compatibility to the body. Most commonly, a crown wears out because of new tooth decay around the edges (margins). The probability of the crown wearing out because of new decay on its edges can be reduced by brushing and flossing. Brushing must be done effectively at least twice per day, and flossing must be done at least once every day to maximize the longevity of a crown—and any other tooth for that matter. Sometimes a crown will be lost due to breakage (of porcelain) or dissolution of the dental cement holding it in place. It may be lost just because in time, the porcelain does not have the same finish as it did before or an unsightly edge becomes visible because gums have receded, or even because a hole has worn through it. The short version of this is that although a crown lasts a long time, it does eventually wear out. When that happens, the dentist and the patient have to decide whether to replace the crown or lose the tooth. Usually a new crown can be placed with more coverage of the tooth to cover the newly damaged or unsightly area. The old crown is removed in a variety of ways. Usually there is some quantity of metal that is salvaged when the crown is removed. In the old days, the dentist usually kept the (usually precious) metal. In the United States, in the days of controlled gold prices, ordinary citizens were not allowed to possess gold. The dentist was allowed to have gold ostensibly to make new gold crowns or gold fillings. Normally the gold was sent to a salvage dealer who bought it and supplied it to a company that used it for something else in industry. I still remember well my dad’s drawer of old crowns and even teeth that had to be removed because of other problems that still had the gold crowns and bridges attached to them. The days of the public not being allowed to possess gold are long gone. Unless you want to give your dentist your crown when you are finished with it, it belongs to you. The salvage value of the old metal is not as much as for the same weight of new metal since it has to be divided into the different metals that make up the alloy. But it still has some value. Usually a dentist has a way to get the metal to someone who wants to salvage it. Often the salvage people are connected to the lab that makes new crowns for the dentist. At any rate, your old crown is worth something. It might as well be you who gets the value of it. We have found that an old crown is usually worth between $25 and $60 depending on what alloy it is and what it weighs. 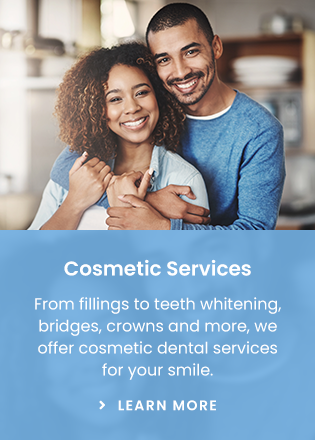 If you have to get a crown removed, ask your dentist if he or she can send it away and have the salvage value paid to you.